Ahmed Kathrada was fearless, and deeply committed to non-racialism and human rights for all, and he gave his entire to life to these causes. At a time when our country and world is becoming further polarised, with individuals and groups pursuing extreme and destructive agendas, we must remember the sacrifices, contributions and work of Kathy’s life. Kathy took an active stand against all those who opposed social-justice, equality and non-racialism. He did this in the past, during his time in prison, and until the early hours of this morning. Kathy had a wonderful sense of humour, and I have great memories of him. He never stopped speaking truth to power, protecting our constitution, standing against violations of our constitution, and recent events can attest to this. We must continue to build and grow the paradigm and reality of non-racialism by drawing inspiration, conviction and ideas from his life. 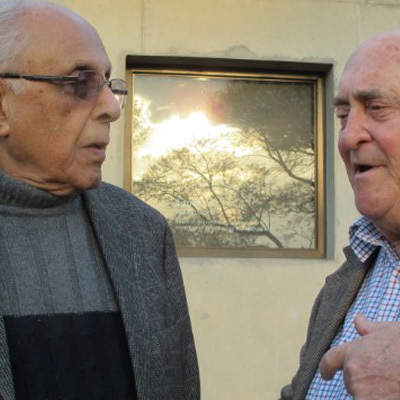 Ahmed Kathrada was my friend and comrade.